The health and wellness campus proposed by the Woodson YMCA and Aspirus is transformational for downtown Wausau and the entire community. 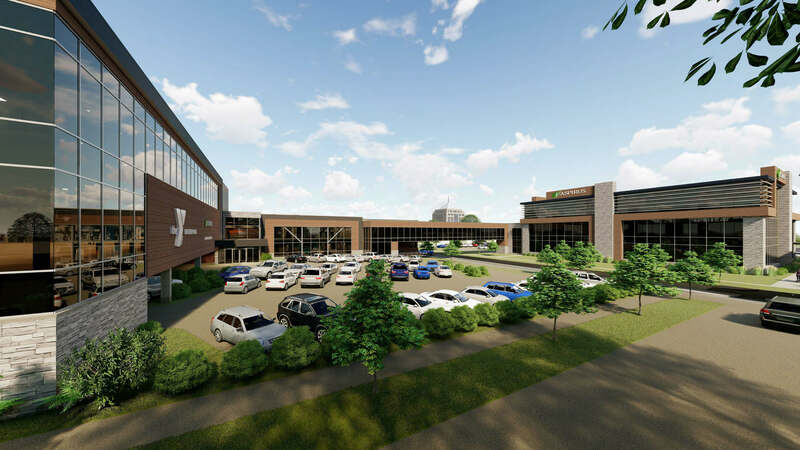 The vision for this project will distinguish the Wausau area as a thought leader in Health and Wellness and as a community that values, invests in and collaborates to achieve an extraordinary quality of life. 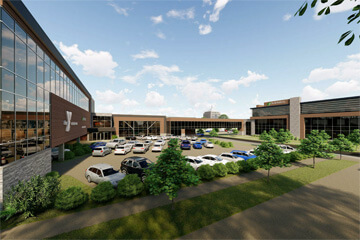 Extensive modernization and expansion of the YMCA. 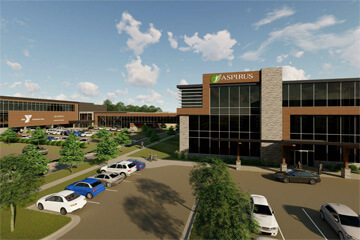 Campus rendering from front of Aspirus Clinic. Campus rendering from north of YMCA. 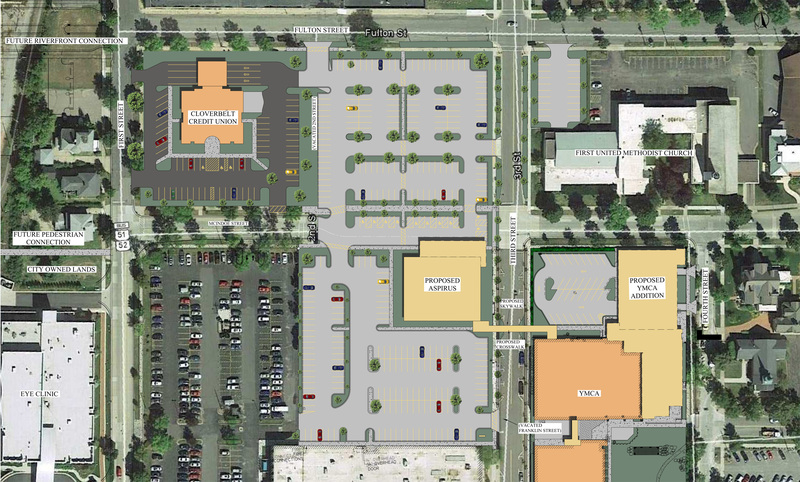 Aerial view of proposed project. 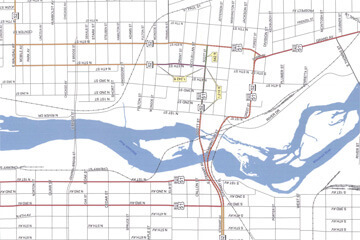 Map depicting proposed re-routing of roads. The combination of resources and expertise from the YMCA and Aspirus will create a progressive resource for all who live in and visit Wausau. By expanding the robust, highly utilized YMCA programs and linking them to an Aspirus Clinic staffed with health experts, the campus will serve the lifestyle and care needs of everyone from infants through seniors. This collaboration will generate advanced prevention, wellness and rehabilitation solutions to improve the health and vitality of our community. Capacity and innovative programming for the YMCA to serve its current 12,500 members and accommodate future growth with a fully modernized and expanded facility, new gymnastics center, fitness enhancements, and childcare space for 54 additional infants and toddlers. A new, best in class, 15,000-square-foot senior center in the YMCA. 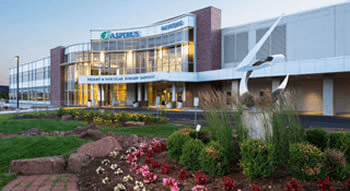 A 36,000-square-foot Aspirus Clinic offering primary and walk-in care, as well as laboratory and imaging services. A comprehensive health and wellness campus connected via a fully enclosed skywalk. 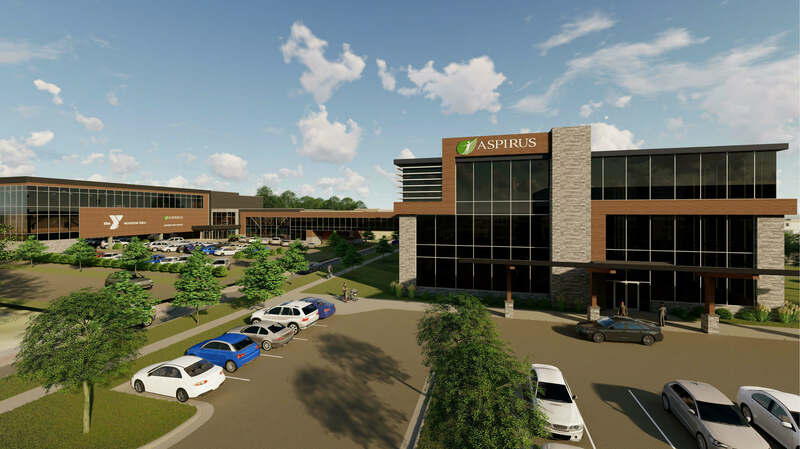 Hundreds of thousands of dollars in new annual tax revenue from the Aspirus Clinic. An estimated 60 new jobs downtown – 10 at the Y, 50 at Aspirus – and about 30,000 patient visits in the clinic’s first year. Significant downtown spending by YMCA members, competitive event visitors, Aspirus employees and patients. Further economic development as Wausau demonstrates its commitment to cultivating new resources that businesses can leverage for employee recruitment and retention. Wausau is evolving thanks to dozens of improvements and resources, such as the Jefferson Street Inn, the 400 Block, Washington Square, the Dudley Tower, the Marathon County Public Library, City Square Office Center, Cloverbelt Credit Union, The Eye Clinic of Wisconsin, and a refreshed and useable riverfront. Businesses small and large are revitalized as a result. This health and wellness campus will continue proclaiming to potential investors that Wausau is a powerful partner. Command attention by occupying two city blocks. Replace blight with appealing architecture, a pedestrian and biking boulevard and vibrant outdoor space. Connect Wausau’s treasures from the Whitewater Course to Athletic Park, from the Leigh Yawkey Woodson Art Museum to the riverfront, and everything in between. Advance the city’s efforts toward a safer, more efficient traffic flow that better serves the walkers, bikers and drivers who access our businesses and riverfront. Foster the Wausau River District’s mission to promote and facilitate the economic vitality and historic preservation of downtown Wausau for the benefit of the entire community. Be a differentiator for Wausau in attracting and retaining our excellent workforce. 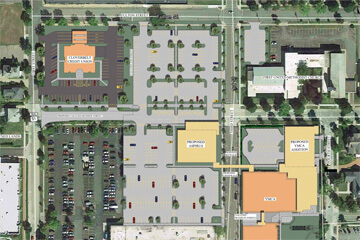 Have a question about the Downtown Health & Wellness Campus in Wausau? Submit your question below and someone involved with the project will follow up with you as appropriate.